A little pride and some prejudice. This past Christmas, I gave my husband the gift of reading any comic book or watching any anime that he chose for me. He went with anime, so this weekend I finished watching the anime TV series Nodame Cantabile. The show is based off of the manga series by the same name and has also been adapted into a live-action version – neither of which I will discuss here since I haven’t been exposed to them (yet). This was my first anime, and to be honest, I wasn’t looking forward to watching it, and I was hoping to get through it as quickly as possible. The story of Nodame Cantabile centers around two students at a music conservatory in Toyko – Megumi “Nodame” Noda and Shinichi Chiaki. Nodame is a piano major who is extremely child-like, innocent, and who quite frankly seemed crazy to me in the beginning. She’s constantly screaming made up words like “GYABO!” and “MUKYA!” and always seems to be running in a frenzy, or crumbling into an ashy heap because of some misunderstanding. 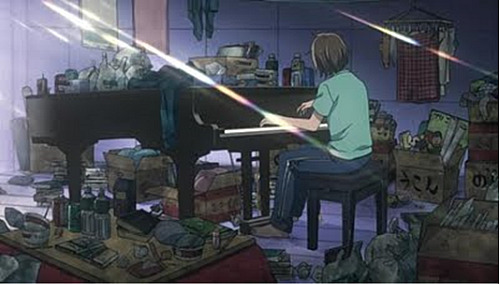 Nodame loves music, food, anime, and as you can see in the image above, she is okay with a huge mess. She is a kind, generous, and forgiving person that doesn’t mind being imperfect. 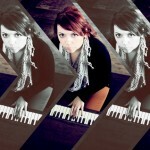 She can sometimes be blind to her musical talents and is scared of striving for higher goals. 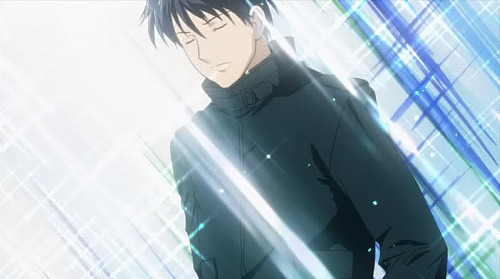 Nodame falls in love very quickly with Chiaki, whom she places on a pedestal in every way. 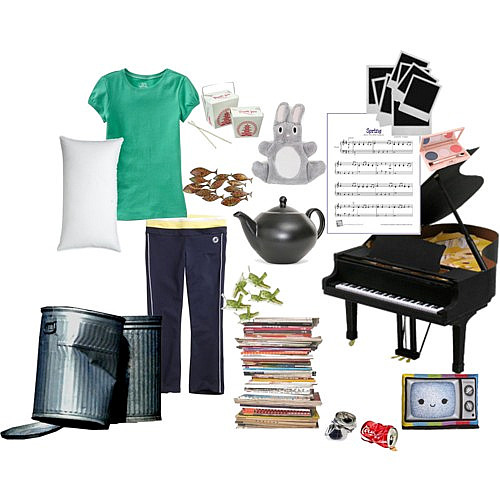 Nodame is very persistent in their relationship, and immerses herself into every area of Chiaki’s life. Chiaki is also a piano major, but is the opposite of Nodame. He is very serious, harsh, and doesn’t have time for relationships (even though every girl wants to be with him); he wants only to study and practice music. 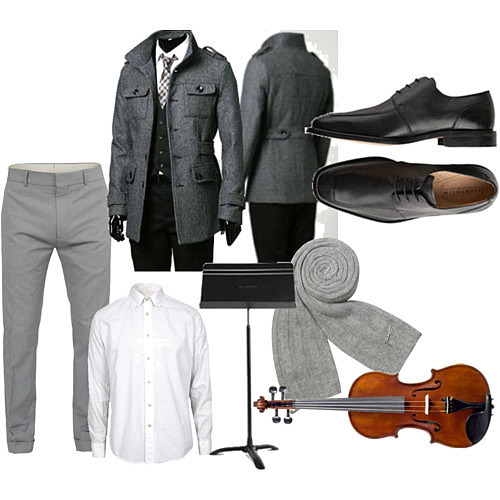 He is an extremely talented pianist and violin player, but his life goal is to become a world renown conductor. Chiaki likes things clean, organized, and minimal. He is a perfectionist to the core, and expects everyone he works with to strive for the same perfection. It seems as though everything he decides to do comes out perfectly and with very little effort. 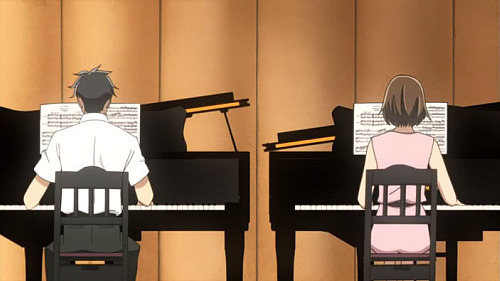 Chiaki sees Nodame’s talent and potential as a pianist, but knows that it is not up to the standard that it could be. 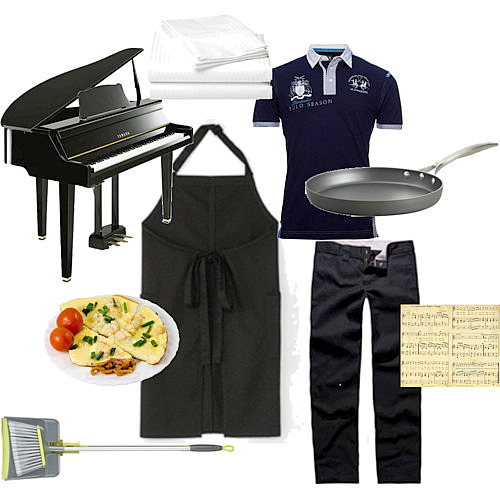 Chiaki becomes Nodame’s cook, maid, and piano teacher – all completely against his will. 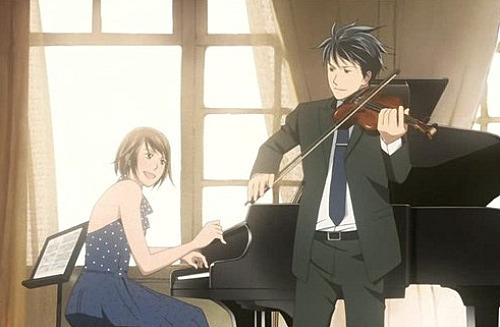 I am shocked at how much I connected with and loved Nodame Cantabile. I adored the first season’s finale so much I actually started to cry. The season 3 finale felt incomplete, and a little boring, but my husband reassured me that there was a good chance of more Nodame to come. I began watching the show thinking that it wouldn’t affect me, and that I wouldn’t like it at all. I was wrong. Please savor those words my husband, as that might be the only time you read them. I was so inspired, that I had to make these ‘sets’ today, and I had the most fun making them! Thanks for reading. I’m off to watch Nodame. 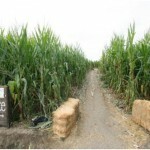 Gyabo!! Is this an April fools day joke? Does this post actually exist? Thanks for taking the time honey. I’m very glad you enjoyed it! I LOVE Nodame!! Your sets are awesome and I can’t wait to finish the series! Well, I just learned something new about Tristan! I love this post. 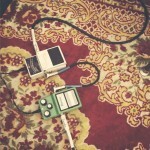 I really love it. And the sets you put together and I almost want to watch this show. I get why it speaks to your heart: because love is always a surprise. 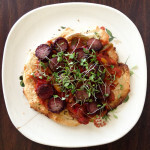 And the different is what makes is so delicious. Great insight! It’s interesting that amidst the clutter of life there can emerge the tasteful crescendo of creativity that makes us all unique. God made us all uniquely different for a reason…Good job!